Make some seriously huge plans for the year ahead with our guide to the best festivals, exhibitions and openings across the globe for 2019. Ready, steady... go! Fancy going to an art show in the desert? Or immersing yourself in the Bauhaus movement in Berlin? Or perhaps slurping your way through a festival dedicated to ramen in Tokyo? Well in 2019 you can do all those things and a helluva lot more. We've scoured the globe for the brightest, maddest, quirkiest events, exhibitions, festivals and openings happening this year. This list features the best and biggest experiences you can have on the planet. So grab an atlas and get plotting, as we showcase some of the world’s greatest art, theatre, music, food, film and trendy to-dos. 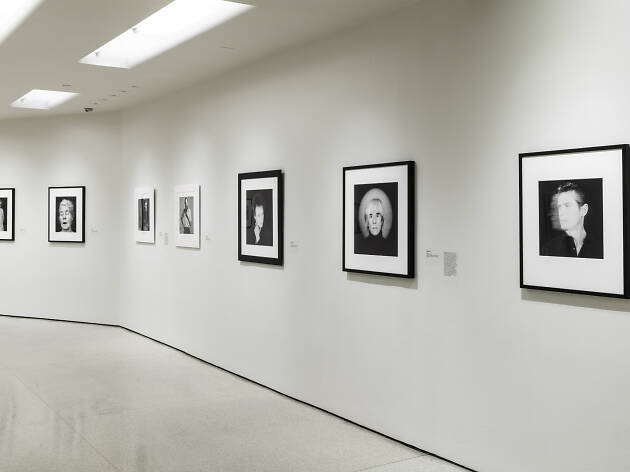 Thirty years since his death, this two-part retrospective examines the life and work of the infamous photographer Robert Mapplethorpe, whose often controversial images documented a post-Stonewall, pre-Aids New York City. Part one (opening Jan 25 and running until July 10) highlights Mapplethorpe’s work, including his portraits and male and female nudes, while part two (opening July 24 and running until Jan 5 2020) examines his legacy and impact on contemporary art. Solomon R Guggenheim Museum, New York City, NY, USA. www.guggenheim.org. Jan 25-Jan 5 2020. Miami’s most fabulous LGBT+ festival returns with a weekend smorgasbord of queer performers. Cruise around the bay at the Friday night yacht party before doing a different sort of cruising during Saturday’s all-day festival and Sunday’s pool party. Expect performances from ‘RuPaul’s Drag Race’ alumnus Milk, as well as a smattering of other sensational drag artists. It’s going to be what? Sickening. Various venues, Miami, FL, USA. www.wigwoodmiami.com. Feb 1-3. Innovative director Ivo van Hove brings Joseph L Mankiewicz’s 1950 Hollywood satire to London’s West End, with Gillian Anderson (‘The X Files’, ‘The Fall’) and Lily James (‘Mamma Mia! Here We Go Again’, ‘Downton Abbey’) taking on the roles of feuding actors Margo Channing and Eve Harrington, played by Bette Davis and Anne Baxter in the movie. Fasten your seatbelts, it’s going to be a bumpy night! Noël Coward Theatre, London, UK. www.noelcowardtheatre.co.uk. Feb 2 – May 11. Forget the music festival. At Desert X, outdoor art installations span for 45 miles through the Coachella Valley in the two months before the whole of California flocks in to see Ariana Grande. Extreme desert locations will be the temporary home to ambitious and beautiful projects, from words projected onto mountains and a rainbow made of steel to a piece that crosses the Mexican border. Coachella Valley, CA, USA. www.desertx.org. Feb 9-Apr 21. Artur Martínez – the chef behind the now-closed Capritx in Terrassa, Catalonia, which was the smallest Michelin-starred restaurant in Europe – makes the Hilton Diagonal Mar Barcelona his home with new outfit Aürt (which means ‘a sharp blow'). The dinky space seats just 15 diners. Hilton Diagonal Mar, Barcelona, Spain. www.hilton.com. Opens in Feb. Step up your Instagram game in 2019 with a trip to this Australian pop-up museum that’s focused entirely on sweets. The candy creation will be heading back to Melbourne with 12 new areas, including a liquorice playroom and an homage to ‘Charlie and the Chocolate Factory’. Your feed won’t be complete without a selfie inside a giant gumball machine or bathing in a pink ball-pit sea of blow-up confectionary. Sugar Republic, Melbourne, Australia. www.sugarrepublic.com.au. Feb 10 – May 20. Now in it’s 41st year, the Mardi Gras parade takes over Sydney to spread a message of love, acceptance and the continued battle for LGBT+ rights. In the run-up, there are tons of queer events to indulge in, including cabaret, club nights, comedy, talks and parties. Various venues, Sydney, Australia. www.mardigras.org.au. Feb 15 – Mar 3. To mark the 350th anniversary of Rembrandt’s death, for the first time the Rijksmuseum is presenting all his work in its possession together.The show includes 22 paintings – such as ‘The Night Watch’ and ‘The Jewish Bride’ – 60 drawings and more than 300 prints, the biggest collection in the world. The exhibition also explores how the people and stories in the artist’s life impacted his art. Rijksmuseum, Amsterdam, Netherlands. www.rijksmuseum.nl. Feb 15 – Jun 10. With an estimated 2 million attendees, Rio Carnival is the largest in the world.Dating back to 1723, this celebration features parades, floats, samba schools, balls, parties and more rhinestones and feathers than you can imagine. It’s the party of a lifetime. Various venues, Rio de Janeiro, Brazil. www.rio-carnival.net. Mar 1-5. This show contains work from a collection managed by Picasso’s second wife’s daughter (get all of that? ), some of which has never been exhibited to the public before. It’s a chance to see a blockbuster artist’s later work before it gets taken to the south of France, where said daughter is opening a permanent home for it. Museum Barberini, Berlin, Germany. www.museum-barberini.com. Mar 9 – Jun 16. This sprawling celebration of music, film and technology – often all mushed together – is the biggest event in Austin. The festival gathers prominent people from each field: in one day you could catch the year’s most hotly tipped film, watch a panel discussion about artificial intelligence and witness Lady Gaga regurgitating paint. That’s SXSW. Various venues, Austin, TX, USA. www.sxsw.com. Mar 8-17. This buzzy television festival returns to LA in March with panels featuring some of the biggest stars of the small screen. There’s something for fans of ‘The Walking Dead’, ‘Star Trek: Discovery’ and ‘This Is Us’, plus a ‘Parks and Recreation’ reunion and the chance to hear from Jane Fonda and the cast of ‘The Marvelous Mrs Maisel’. The Paley Center for Media, Los Angeles, CA, USA. www.paleycenter.org. Mar 15-24. Tony and Emmy winners Laurie Metcalf and John Lithgow take on the roles of Hillary and Bill Clinton in this new comedy-drama about the former’s 2008 presidential bid. Golden Theatre, New York City, New York, USA. www.hillaryandclintonbroadway.com. Mar 16-Jul 21. 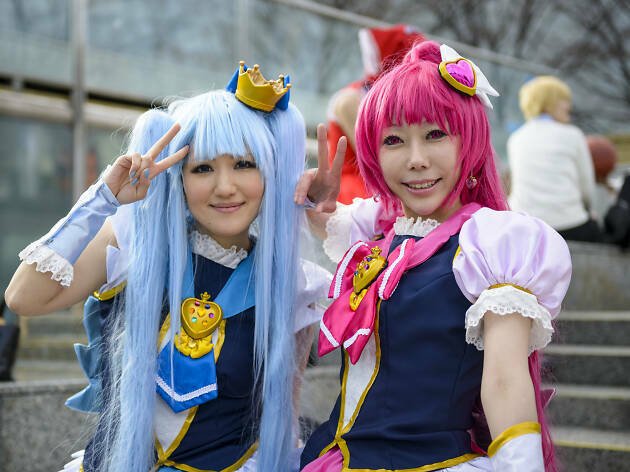 Join 150,000 anime and manga fans at this super Expo dedicated to the delights of Japanese hand-drawn and computer animation, featuring more than 200 industry heavyweights, exhibitions, panels and, of course, cosplayers. Tokyo Big Sight, Tokyo, Japan. www.anime-japan.jp. Mar 23-24. Bringing together more than 130 authors, actors and musicians, this festival luxuriates in the work of the inimitable Tennessee Williams, who called New Orleans his ‘spiritual home’. Budding writers can hear famous scribes speak about their craft and there’ll be a number of literary discussions, events, walking tours and theatrical performances. Also in New Orleans around the same time (Mar 29-31) is the Saints and Sinners Literary Festival, a conference of LGBT+ writing. It’s a bookworm’s dream. Various venues, New Orleans, LA, USA. Mar 27-31. With DJ heavyweights such as David Guetta, Alesso, Zedd, and The Chainsmokers all dropping by, Ultra Music Festival is the place in 2019 to satisfy your dance music needs. Catch live sets from deadmau5 and Galantis, or just get lost at one of the many stages and shake away the stresses of life. Historic Virginia Key Beach Park & Miami Marine Stadium, Miami, Florida, USA. www.ultramusicfestival.com. Mar 29-31. The world’s leading modern and contemporary art galleries exhibit at this fair, with more than half hailing from the Asia-Pacific region, showcasing work from established and emerging artists. Hong Kong Convention & Exhibition Centre, Wan Chai, Hong Kong, China. www.artbasel.com. Mar 29-31. Food fans: listen up! This year Time Out will be opening five markets - in Miami, New York, Chicago, Boston and Montreal. As with our bustling Lisbon market, each Time Out Market brings together a carefully curated list of chefs to serve up the best food the city has to offer, all under one roof. Keep your eye on the website for launch dates, starting from spring. 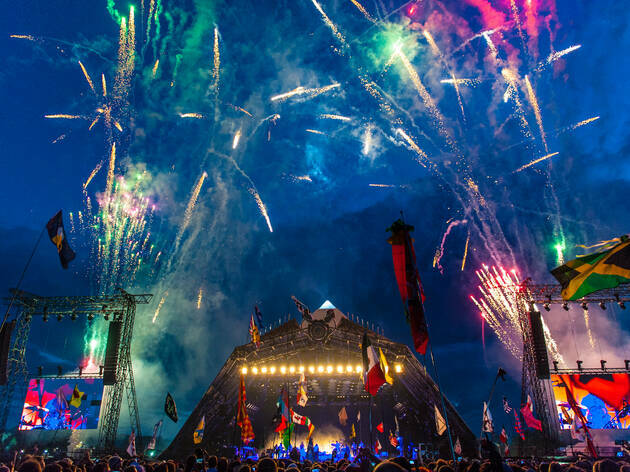 It’s one of the biggest music festivals in the world – and frequented by more celebrities than MailOnline – so why not actually go to it this year? You'll be treated to sets from Janelle Monae, The 1975, Solange, Childish Gambino, Tame Impala and pop’s biggest star, Ariana Grande. Empire Polo Club, Indio, California, USA. www.coachella.com. Apr 12-14 & 19-21. For fans of fierce and competitive sports, this could be the event to get your adrenaline pumping. Each team comprises seven players and the games – played on a full-sized pitch – last for seven minutes each half. It’s high-octane and intense. National Stadium, Singapore. www.singapore7s.sg. Apr 13-14. 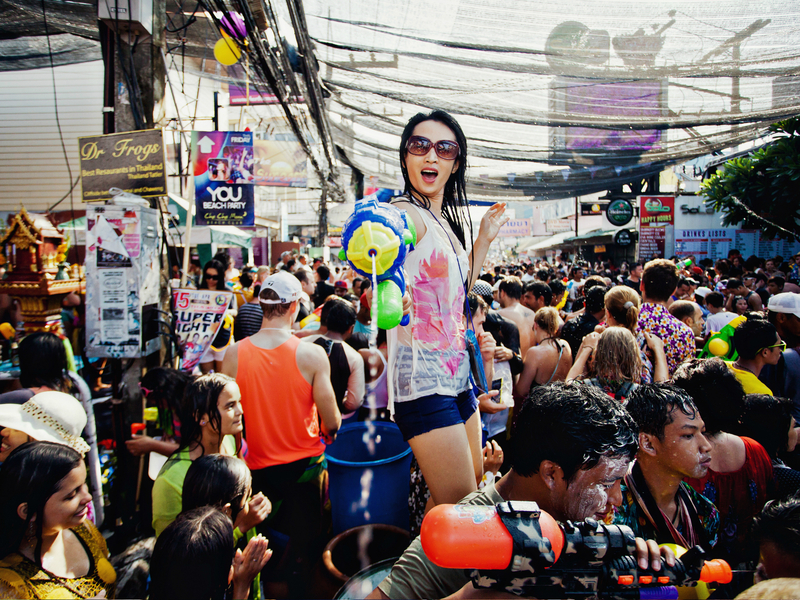 To celebrate Thai New Year, the whole country shuts down and takes part in a massive water fight. Who doesn’t want to spend a weekend spraying strangers with a Super Soaker? Various locations, Thailand. Apr 13-15. For its golden anniversary, this historic music festival has announced the mightiest of line-ups. Not only will you be able to catch pop superstar Katy Perry, but icons such as Santana, Diana Ross, Gladys Knight and The Rolling Stones will also be performing. Fair Grounds Race Course, New Orleans, Louisiana, USA. www.nojazzfest.com. Apr 25-May 5. Experience the worlds created by director Stanley Kubrick at this blockbuster exhibition that promises to take you inside his films. Relive the visual delights (and horrors) of ‘The Shining’ and ‘A Clockwork Orange’ and pore over displays of props, costumes, models and photographs from the director’s archive. The Design Museum, London, UK. www.designmuseum.org. Apr 26-Sept 17. AfrikaBurn is an official Burning Man regional event that, like the original, encourages creativity and the construction of a temporary city. Expect vehicles, costumes, music, performances and an intense sense of community in the heart of the desert. Stonehenge Private Reserve, Tankwa Karoo, South Africa. www.afrikaburn.com. Apr 29-May 5. The Town festival is a mock village set up just a few hours outside of Melbourne where you can spend time living in a healthy and sustainable community while enjoying loads of electronic music. There will be role play. Licola Wilderness Village, Licola, Victoria, Australia. www.culturejam.com.au. May 3-6. The opening of a new exhibition space and cultural centre in New York is a big deal on its own, but pair that with a ‘new staged concert’ by Björk and the excitement level is heading off the scale. The Shed, New York City, New York, USA. www.theshed.org. May 6, 9, 12, 16, 22, 25, 28 & Jun 1. Cheung Chau Bun is a unique festival built on folklore that culminates in a grand finale where competitors scale a 45-foot-tall tower to grab as many ‘ping on bao’ (lucky buns) as possible. Those buns are made of plastic, but you can still find edible ones, usually sweet, during the celebrations, which also involve a parade, music, lion dances and drum-beating. Cheung Chau, Hong Kong. May 9-13. Ok, you might not actually be able to go to the Met Gala, which this year is co-chaired by Gaga, Serena Williams and Harry Styles. But you can get close to it by going to the accompanying exhibition at the museum. This year, the theme is framed around Susan Sontag’s iconic 1964 essay ‘Notes on Camp’ and explores how camp intersects with fashion. The Metropolitan Museum of Art Costume Institute, New York City, New York, USA. www.metmuseum.org. May 9-Sep 8. Getting tickets to the ESC might be tricky (although not impossible), but don’t panic. It’s the first time Israel has hosted the camptastic comp in 20 years, so you can guarantee that Tel Aviv will be alive with numerous parties and celebrations, both during the heats and on the big night. Viva la diva! Expo Tel Aviv (International Convention Center), Tel Aviv, Israel. www.eurovision.tv. May 14-18. For the first time in its history, Primavera Sound has announced that the 226 acts performing will be split 50/50 by gender. While this should be the norm for every fest, what it does mean is that the line-up is absolutely awesome, with the likes of Cardi B, Robyn, James Blake, Future, Solange, Janelle Monae and many, many more. It’s a strong contender for line-up of the year. Parc del Fòrum, Barcelona, Spain. www.primaverasound.es. May 30-Jun 1. 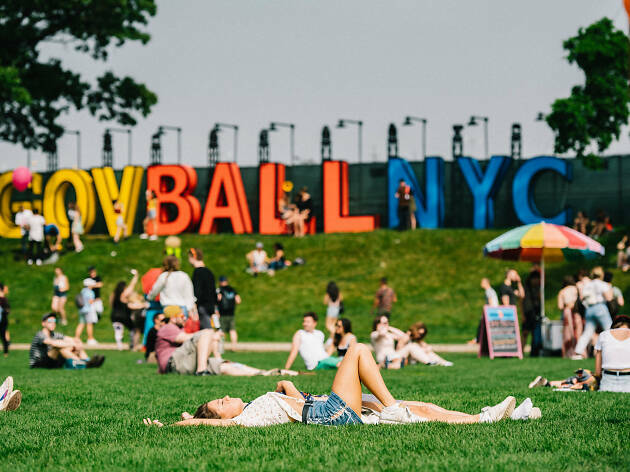 Now in its ninth year, the Governors Ball returns to Randall’s Island for another year. Packed to the seams, the line-up is spectacular: The Strokes, Florence + the Machine, Tyler, the Creator, SZA, the 1975, Brockhampton, Lil Wayne, Kacey Musgraves, Lily Allen, Charli XCX, Blood Orange, Jorja Smith…you get the picture. It’s bloomin’ massive. Randall’s Island Park, New York City, New York, USA. www.governsballmusicfestival.com. May 31-Jun 2. Ahh, the beautiful game – there’s nothing like it. And sure, while watching it with your friends at home or out at a bar is fun, it could be so much better. So, get yourself a ticket to the CL Final in Madrid and let your football dreams come true. Estadio Metropolitano, Madrid, Spain. www.uefa.com. Jun 1. From one of the co-founders of Cirque du Soleil comes PY1, a giant pyramid that’s both an immersive clubbing experience and a technological sensory playground. Hosting both experiences and club nights, the first production, ‘Through the Echoes’, involves projections, videos, lights, music and even augmented reality. It sounds like it might be one of those places you need to really see to believe. PY1, Montreal, Québec, Canada. www.py1.co. From Jun 1. 2019 marks the fiftieth anniversary of the Stonewall Riots in Greenwich Village. To honour the occasion, New York has been nominated as the host of World Pride and there are a number of high-profile celebrations taking place. Along with the usual parade, Times Square will host a closing celebration. And you just know that the vibrant and varied queer venues in New York are going to turn it out. Given the fact that Madonna showed up at the Stonewall Inn on New Year’s Eve to kick off the anniversary, we’re betting that anything could happen. Various locations, New York City, New York, USA. www.nycpride.org. Jun 1-30. London day festivals are some of the best in the world. But stepping up their game this year is Field Day, which has found itself a brand new location where they can take the all-day party into the night. Along with big names like Skepta, Jorja Smith and Diplo all playing, the festival now boasts four giant inter-connected warehouses, where the party can continue without interference from pesky noise control. At this singular pageant, now in its thirty-seventh year, people parade their fishy outfits in all colours, shapes and sizes along the kitsch Coney Island boardwalk. New Yorkers express themselves (quite liberally) as mermaids and more, while spectators cheer along, corn dogs in hand. Coney Island Boardwalk, New York, USA. www.coneyisland.com. Jun 22. In 2018, São Paulo Pride was attended by over 3 million people and in 2012 Grindr voted it the world’s best. It’s no wonder. Brazil knows how to throw one spectacular party, and how better to celebrate the fight for equality than with the best of the best. 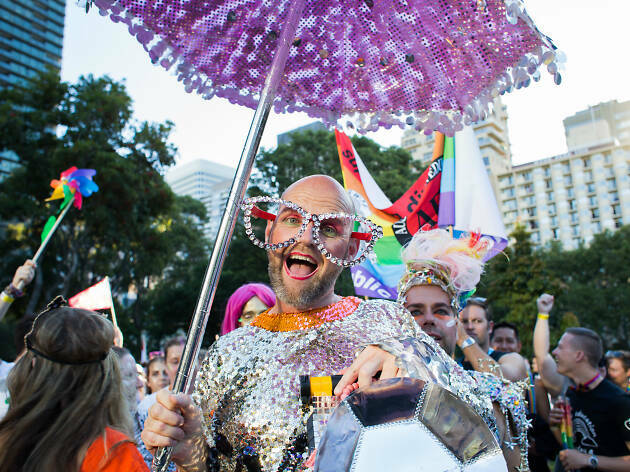 Indeed, given that LGBT+ rights are still under threat, Pride parades like São Paulo’s are the sort of show of resilience and solidarity the world needs. São Paulo, Brazil. Jun 23. It’s known as being the best and biggest festival on earth and we might have to agree. With more than 177,000 people attending, this heavyweight offers up weirdness, wildness, debauchery, madness, music, movies and more. And the headliners are always excellent. But even if you don’t think so, the place is so vast and varied you’ll find something to love. Get lost in the Healing Fields or stay up for the sunrise at the Stone Circle. Worthy Farm, Pilton, Somerset, UK. www.glastonburyfestivals.co.uk. Jun 26-30. After premiering in Boston last year, the long awaited stage adaptation of Baz Luhrmann’s hit movie musical makes its way to Broadway in 2019. And while Ewan and Nicole aren’t reprising their roles, the stage version features all of the marvelous mashups, including the ’Elephant Love Medley‘ and that rousing version of Elton John’s ‘Your Song’. Al Hirschfeld Theatre, New York City, New York, USA. www.moulinrougemusical.com. Starts Jun 28. For history buffs, this year could well be when you head to Turkey to watch the world’s longest running, continuously held athletic competition: oil wrestling. Yep. The championship dates back to 1346 (!) and, well, it’s exactly what you’d expect. 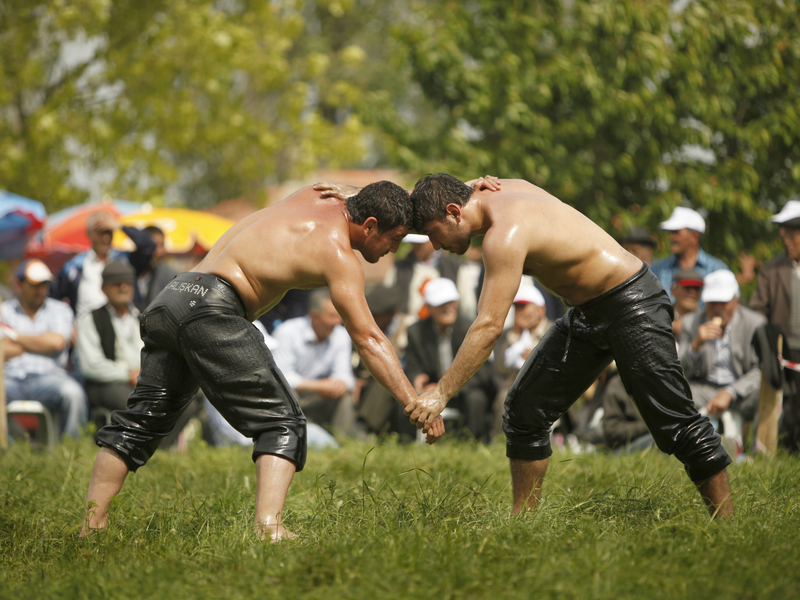 Contestants cover themselves in olive oil and wrestle with each other. Sarayici Arena, Edirne, Turkey. Jul 1-7. Bringing together art from all over the world while also celebrating the city’s rich cultural history, the MIF promises to showcase a diverse array of performance, visual arts and popular culture. This year’s event features a show by Janelle Monae, a new stage production from Idris Elba and Kwame Kwei-Armah and Bells For Peace, a major commission by Yoko Ono. Various locations, Manchester, UK. www.mif.co.uk. Jul 4-21. Ever had the urge to head down to a famous London park and scream along to ‘It’s All Coming Back To Me Now’? Well, now’s your chance because Canadian queen of song, Celine Dion, is heading to Hyde Park to headline BST. Knowing Celine, this is bound to be a totally understated affair. Ha! Who are we kidding, it’s going to be glorious cheesy and absolutely wild. 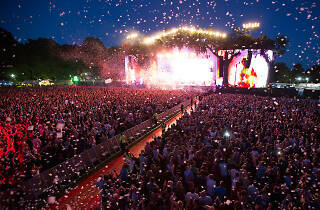 Hyde Park, London, UK. www.bst-hydepark.com. Jul 5. Mad Cool might have only started three years ago, but already this festival draws in 80,000 people per day. With an ace sound system and sunshine practically guaranteed, the line-up is basically the cherry on top. And it’s s one hefty cherry – this year’s fest features Bon Iver, Vampire Weekend, The National, Smashing Pumpkins, The Cure, Robyn and Years & Years. Valdebebas-Ifema, Madrid, Spain. www.madcoolfestival.es. Jul 11-13. Back for a third year, American festival stalwart Lollapalooza has found a second home in Paris (there are also iterations in Berlin, Stockholm and Chile). This year, the line-up is rather tasty. Headlined by The Strokes, the festival will also see sets from Twenty One Pilots, The 1975, Martin Garrix, Shame and Puerto Rican Soundcloud rapper Bad Bunny. Hippodrome ParisLongchamp, Paris, France. www.lollaparis.com. Jul 20-21. If cosplaying is your thing, this is where you want to be. Across the space of a week, a number of cosplayers from different countries will compete against each other in a championship where they show off their various skills. Alongside, there are numerous performances and a parade, as well as opportunities to get those all-important pictures. This is the big leagues. Aichi Arts Center, Nagoya, Japan. www.worldcosplaysummit.jp. Jul 29-Aug 4. Think you’re on top of all the best new and indie music out there? Are you glued to music blog Hype Machine? Why not test your knowledge with all the cool kids at the Pitchfork fest in Chicago? There’s bound to be someone on the line up you’ve never heard of before. Union Park, Chicago, IL, USA. www.pitchforkmusicfestival.com. July, dates TBC. Apparently, more than one million people flocked to last year’s Chimac Festival, a dreamy five-day party combining two of life’s best things – chicken and beer (‘chimac’ is a portmanteau of chicken and ‘maekju’, the Korean word for beer). Not only can you fill up on the good stuff, but you can catch live DJs and eating competitions, if you’re that way inclined. Duryu Park, Daegu, South Korea. daegufestival.com. July, dates TBC. Given that last year Britney bloody Spears headlined Brighton Pride’s day festival, the possibilities are endless for this year’s event. Could it be Madonna? What about Kylie Minogue? Would Cher bless us with her presence? Who knows. What we do know is that it’s bound to be absolutely massive. Various venues, Brighton, UK. www.brighton-pride.org. Aug 2-4. Popping up to Scotland in August for the world’s biggest arts festival should most definitely be on your bucket list. More than 300 venues showcase comedy, theatre, cabaret and any other kind of performance you can think of. Various venues, Edinburgh, UK. www.edfringe.com. Aug 2-26. Boston is known for many things, including scrumptious clam chowder. In fact, the city has a stellar track record when it comes to seafood, which is where the Boston Seafood Festival comes in. Don't miss the all-day lobster bake or the battle of the shuckers. Boston Fish Pier, Boston, Massachusetts, USA. www.bostonseafoodfestival.org. Aug 4. You’ve probably seen the pictures of Rihanna in Barbados all bejeweled and covered in feathers. Well, those photos were taken during Crop Over, Barbados’s answer to Carnival. The festival, which celebrates the end of the sugar crop harvest, lasts for months, but during the final week there's a number of parties, finishing with the spectacular Grand Kadooment closing parade. Various locations, Barbados. www.barbados.org. Aug 5. 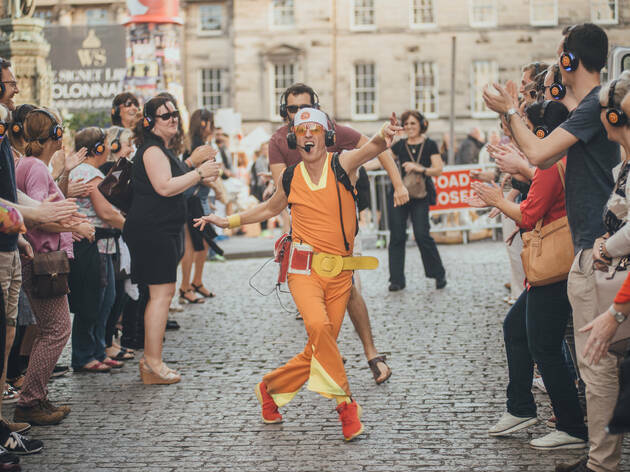 Now in its 24th edition, the Air Guitar World Championships has a lofty ambition: bring about world peace and end climate change through the mastery of air guitar. Given that it’s amassed a massive following, it could be on its way. Venue TBC, Oulu, Finland. www.airguitarworldchampionships.com. Aug 21-23. London’s annual celebration of Caribbean history and culture is one of the city’s biggest of the year. With numerous soundsystems dotted around all blasting mega tunes, you can easily lose yourself in the music. Add in fabulous parades, floats and trucks and you’ve got yourself a weekend to remember (or not…). Notting Hill, London, UK. www.thelondonnottinghillcarnival.com. Aug 26-27. This massive street party takes over Singapore for two weeks in August each year. While its aim is to showcase the best in performing arts, it’s the light installations that take over the facades of the Bras Basah and Bugis precinct that capture travellers’ imaginations. Last year even saw giant glowing horses gallop through the area. Various locations, Singapore. www.nightfestival.sg. Dates TBC. Having started more than 48 years ago as a simple costume party, Southern Decadence has become one of the biggest celebrations of the LGBT+ community in the world. Queer folk descend on New Orleans’s French Quarter for a five-day spectacular of dancing, music, pride and wonderment. Various locations, New Orleans, Louisiana, USA. www.southerndecadence.net. Aug 29-Sep 2. Following its launch in Sweden, this five-hour all-singing-all-dancing extravaganza of Abba music (obvs), acting, food and drink comes to London. The setting is a Greek taverna where massive Abba bangers will be performed as you enjoy your moussaka. It’s as bonkers and brilliant as it sounds. The O2, London, UK. www.mammamiatheparty.com. Aug 30-Nov 18. TIFF has proven to be very proficient at generating award-season buzz. It remains publicly attended too, which means you could have the chance to see the next ‘Moonlight’ or ‘Slumdog Millionaire’. Sure, you might have to sit through a few doozies, but for a film lover this is nirvana. Various venues, Toronto, Ontario, Canada. www.tiff.net. Sep 5-15. Celebrate 100 years of the German art school that spawned an influential movement in art and architecture. There’s an impressive number of exhibitions taking place throughout 2019 – our pick, Original Bauhuas, starts in September and gathers up 14 objects of artistic significance. Berlinische Galerie, Berlin, Germany. www.bauhaus100.com. Sep 6-Jan 27 2020. Tate Britain’s retrospective is the most comprehensive survey of William Blake's work since 2001. It will exhibit more than 300 works, including watercolours, paintings and prints, and explore the artist's relationship with the art world of his time. Tate Britain, London, UK. www.tate.org.uk. Sep 11-Feb 2 2020. As one of the world’s biggest music festivals, Rock in Rio has always commanded some A-list acts, and this year is no different. The festival in Rio (there’s also one in Lisbon, too) will have sets from Iron Maiden, P!nk, the Black Eyed Peas, Anitta, Muse, Charlie Puth, Jessie J and Imagine Dragons. The line up for Lisbon is bound to be just as thrilling. Parque Olímpico of Rio de Janeiro, Rio de Janeiro, Brazil. www.rockinrio.com. Sep 27-29, Oct 3-6. While Monterey might now be associated with TV show ‘Big Little Lies’, this Californian coastal city also hosts one of the biggest and best-known jazz festivals in the world. This year's line-up has yet to be announced but last year saw Norah Jones and Jon Batiste performing. Monterey County Fairgrounds, Monterey, California, USA. www.montereyjazzfestival.org. Sept 27-29. Trust San Francisco to serve up the world’s biggest leather event! Spread out across several blocks of the city, will be 200 exhibitors of fetish gear and toys, soundtracked by performances from electronic, indie and alternative acts. Expect nakedness, harnesses and plenty of naughtiness. Folsom St, San Francisco, California, USA. www.folsomstreetevents.org. Sep 29. Everything is always better at night time and art is no different. Luckily, the people of Paris know this. On the first Saturday in October, numerous artists and performers will be staging installations, exhibitions and concerts all round the city. Various locations, Paris, France. quefaire.paris.fr. Oct 5. There’s just something about Mary. Following last year’s ‘Mary Poppins Returns’ magical movie, the strict but silly nanny returns to the stage for a revival of Disney and Cameron Mackintosh's musical. It’s sure to be supercalifragilisticexpialidocious. Prince Edward Theatre, London, UK. www.delfontmackintosh.co.uk. Oct 23-Mar 29 2020. Given it’s the 500th anniversary of his death, it’s only fair that somewhere does something to celebrate the work and life of Leonardo da Vinci. 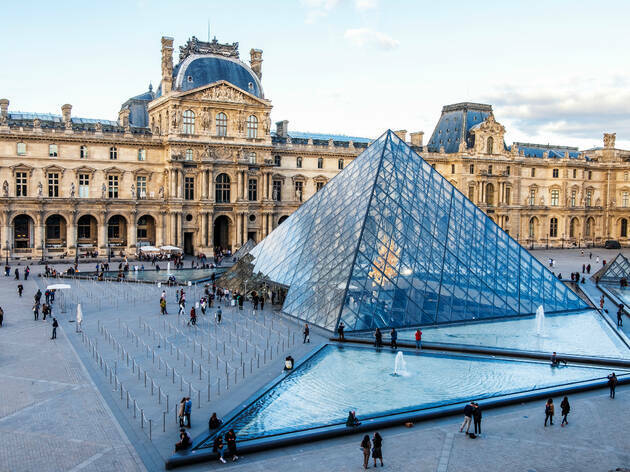 Luckily for him, that somewhere is the Louvre, which will be displaying the artist's paintings, drawings and notes. The Louvre, Paris, France. www.louvre.fr. Oct 24 – Feb 24 2020. Work your way through the best bowls of ramen known to humanity, and all in just one sitting. Tokyo Ramen Show sees broth-heavy bowls served steaming to an international crowd of noodle lovers – so you’ll probably need to get your elbows out at the most popular stalls. The event is so colossal, it’s divided up into two parts, each with 18 different dishes to try. Our tip? Pack a bib. Komazawa Olympic Park, Tokyo, Japan. www.ramenshow.com. Oct-Nov, dates tbc. 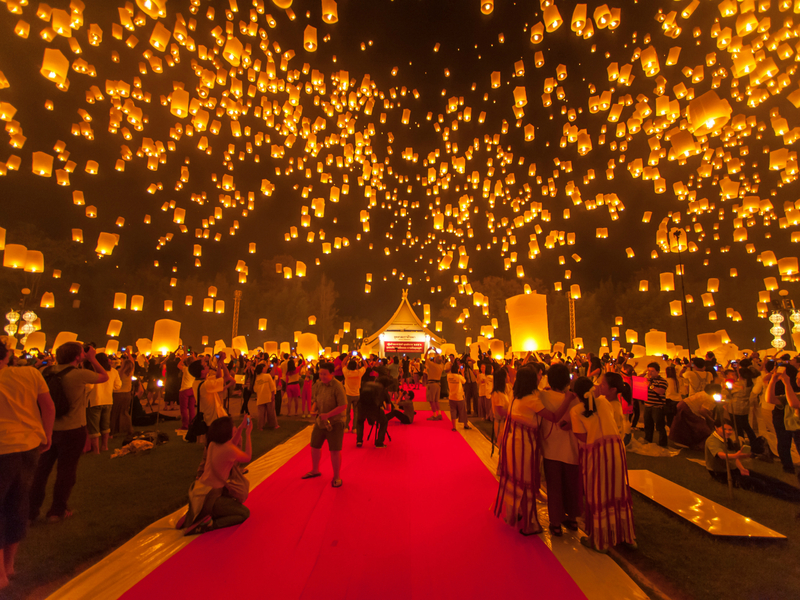 This festival fills the sky above Chiang Mai with beautiful, burning rice paper lanterns. It’s held at the time of the year that locals believe is prime for making a wish for good fortune. Activities also include worship rituals, lantern decoration and a pageant. Various locations, Chiang Mai, Thailand. Nov 13. Where better to mark Mexico’s traditional Day of the Dead than the historic cobbled streets of Oaxaca, where bands from local villages provide a brassy soundtrack to the costumed skeleton performers that haunt the streets. 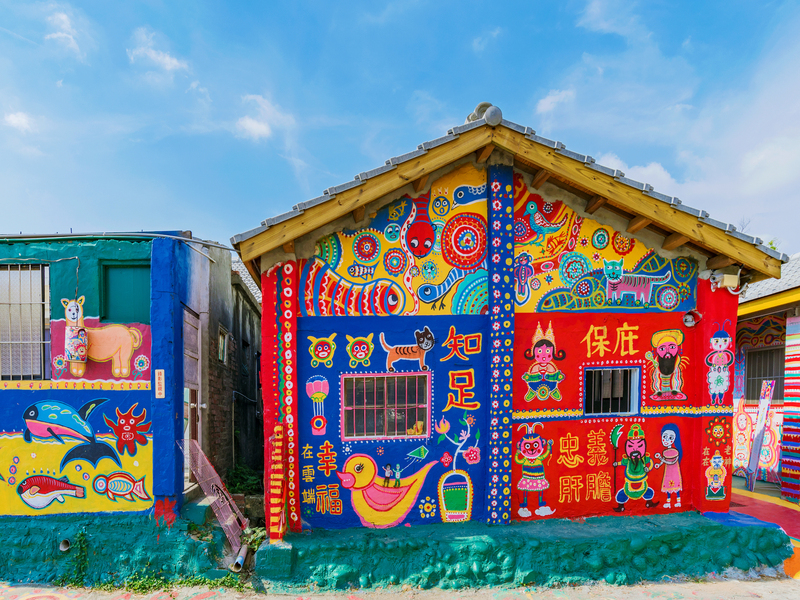 Since ‘Coco’ popularised the tradition, it’s become a top tourist attraction – book that accommodation nice and early and order in the face paint. Oaxaca City, Mexico. Nov 2. Dubbed ‘Asia’s answer to Coachella’ by Buzzfeed, Clockenflap showcases acts from China, Hong Kong, Taiwan, Korea and Japan alongside US and UK artists. You’ll also find interactive installations and ‘roving surprises’, which are apparently something the festival is known for. It sounds rather brilliant. Central Harbourfront Event Space, Hong Kong, China. www.clockenflap.com. Nov 22-24. Southern Florida meets Switzerland as Art Basel descends on Miami Beach for a few days in December. Work through the collections of over 4,000 artists and hear inspiring talks from informed insiders. Given the city’s excellent nightlife scene it’s also well worth checking out the line-up of satellite events. Miami Beach Convention Centre, Miami, Fl, USA. www.artbasel.com/miami-beach. Dec 5-8. Traipsing around busy shops buying gifts for family and friends is a necessity in the build-up to the big day. But, if you want to get away from it all, you can escape the hustle and bustle for some festive floral fun at London’s Kew Gardens. The botanical hub gets a seasonal makeover every Christmas, with last year’s centrepiece a display of over a million sparkling lights and a ‘Laser Garden’. It’s keeping what it’s got in store for 2019 under wraps, but it’s sure to be lit. Kew Gardens, London, UK. www.kew.org. December. 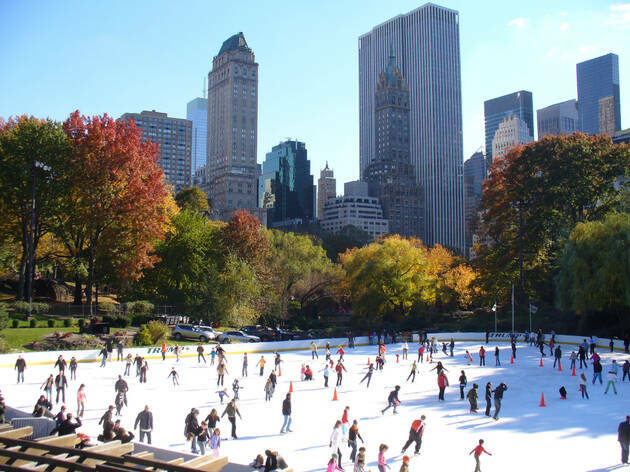 No Christmas is complete without an ice-skating session, and where better to do it than Central Park’s Wollman Rink? Sure, the crowds are as busy as on Broadway, but the views of the city’s skyline are worth it. Whether you're an Olympic pro or a complete beginner, it's a great spot to hit the ice (not literally, hopefully...). Wollman Rink, Central Park, New York City, New York, USA. www.wollmanskatingrink.com. December. Five years of partying has helped cement Magnetic Fields as one of the coolest music festivals on the planet – and it doesn’t hurt that the action takes place in the grounds of a gorgeous Rajasthani palace. Previous acts include Four Tet, Jayda G and Floating Points, as well as Indian DJs from a burgeoning electronic music scene. Alsisar Mahal, Rajasthan, India. www.magneticfields.in. Dec, dates TBC. Since it opened on Broadway in 2016, the Tony and Grammy award-winning ‘Dear Evan Hansen’ has proved itself to be a musical theatre behemoth. Now, finally, theatre lovers in the UK will get a chance to see the show as it lands in London’s West End. Noël Coward Theatre, London, UK. www.dearevanhansen.com. Autumn 2019. Ever since Disney scooped up the rights to George Lucas’s space opera, we’ve been waiting patiently for one of Mickey Mouse’s theme parks to build a dedicated ‘Star Wars’ area. Now, thanks to the power of the Force, our dreams have come true. ‘Star Wars’: Galaxy’s Edge promises recreations of of the Millennium Falcon and even a space cantina. We’re just hoping that the band from Jabba’s palace will be the group in residence. Disneyland, Anaheim, California, USA. www.disneyworld.com. Autumn 2019. Following its blockbuster opening and run in London, as well as the recently launched Melbourne production and the Broadway iteration, ‘Harry Potter and the Cursed Child’ finally makes its way to the west coast of America, finding its home at the Curran theatre in San Francisco. Curran, San Francisco, California, USA. www.sfcurran.com. Autumn 2019. Opening in late 2019, the Academy Museum of Motion Pictures promises to become a global hub focused on the history, science and art of filmmaking. The first exhibition is about that titan of Japanese animation, Studio Ghibli founder Hayao Miyazaki. Expect to see more than just a Catbus or a Totoro at this show, which is the first retrospective of the filmmaker in the US. Academy Museum of Motion Pictures, Los Angeles, California, USA. www.academymuseum.org. Late 2019. Looking for more amazing things to do? In our humble and expert opinion, these are the 50 very best experiences of their kind in the world right now. We’ve judged the list by uniqueness, timeliness, geographic diversity, and cultural brilliance – making good use of our expert theatre, art, museum, film, food and travel editors.